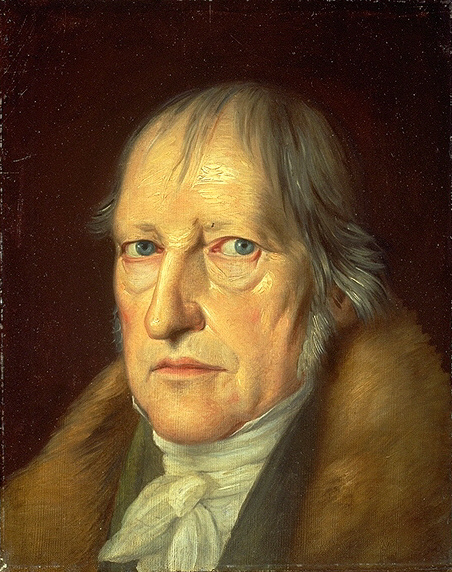 Hegel wanted his philosophy to be known as an exemplary application of reason to its study. He wrote at great length on logic and on the syllogism. He held that truth can be known – through scientific method. He argued for the necessity of language to cognition. But he explored every one of these concepts – ‘reason,’ ‘logic,’ ‘syllogism,’ ‘truth,’ ‘science’ and ‘cognition’ and his commitment to language on the basis of what he understood to be ‘speculative,’ derived from Aristotle’s characterisation of God’s activity of thinking (noesis noeseos noesis), which was for Hegel synonymous with ‘mystical.’ And that mysticism, his mysticism, I will contend, was a Christian adaptation of Neoplatonism. Under this aegis, Hegel employed the Neoplatonic distinction between ‘two types’ of reason – that of analysis, separation and mere understanding (Verstand) and, for him, the far richer dialectical, unifying reason of Vernunft – the ‘true’ reason of speculation – resulting in his theorising of ‘reason,’ ‘logic,’ ‘truth’ and ‘science’ not on the basis of a material world but on that of the activity of the One, of God, of Spirit, and in his theorising of the syllogism not as the means of establishing formal validity but as that of cognising and engaging with the manifestation of a triune Father, Son and Spirit. The processes of Hegel’s Phenomenology of Spirit, in which consciousness rises through its ‘stations’ to the Absolute – the propaedeutic model for all his later philosophising – neatly overlie those of the first (by one and a half thousand years) phenomenology – Plotinus’ Enneads – in which consciousness likewise rises through its hypostases to the Absolute. In the philosophies of both men, the divine within studies his patriarchal self and sets out his development towards a restored unity. In its meaning and the broad structure of its movement and processes, Soul served the same purpose in the philosophies of both men. Both philosophies were built on the mystical study of subjectivity and the processes of self as God, of God as self – in my consciousness I have the world and in that world I find myself. This entry was tagged concealed priesthood, G.W.F.Hegel, mysticism, Neoplatonism, Nicholas of Cusa, philosophy, Plotinus. Bookmark the permalink.